The Orioles had the shift on against David Lough, and Lough tried to take advantage by bunting the ball to the left side to lead off the Royals' half of the third. 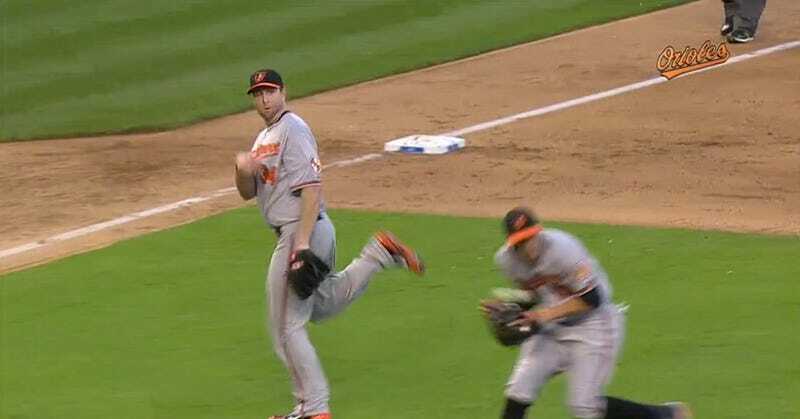 O's pitcher Scott Feldman had help, with Manny Machado charging to make the play. But Feldman decided to take it himself. Lough was credited with a single. Machado was able to laugh at having nearly lost his face.